In today's rapidly changing business world, users need the ability to examine data, discover new insights, and get answers quickly. Spotlight understands the needs of business users to have departmental solutions that can be easily installed without adversely affecting IT priorities. 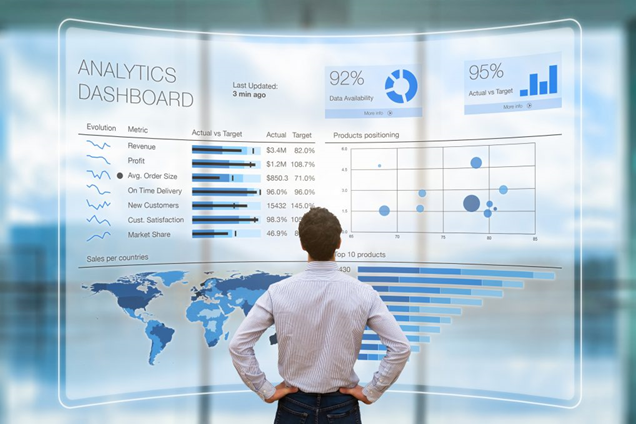 Three departmental "business discovery and analysis" packages are offered by Spotlight - combing servers, OS, databases, and BI products into an appliance format. 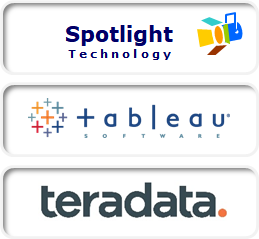 Tableau Software produces interactive data visualization products focused on business intelligence. 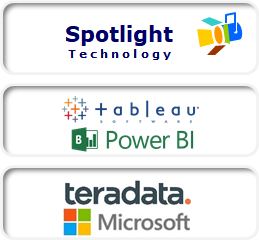 Spotlight combines the power of a robust server (e.g., Dell) with powerful database capabilities (either Teradata or SQL Server) and adds the Tableau product to the stack. The advantage of a pre-packaged appliance is all the components are integrated in one powerful, ready-to-use solution. In addition, Spotlight provides numerous optimizations between the database and BI/visualization layers. The pre-packaged Tableau appliance benefits business users who need a departmental or group "data exploration" capability - but without the technology hassles. For addition details on the components of the architecture, scroll down to the architectural diagram. Spotlight's SQL Server appliance combines the best BI, visualization, ETL, and database products from Microsoft into a powerful pre-packaged solution. 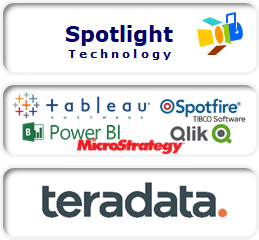 The Spotlight SQL Server application runs best when the tools and user-visible layers are Microsoft products and the database heavy-lifting is supplied by the Teradata database. 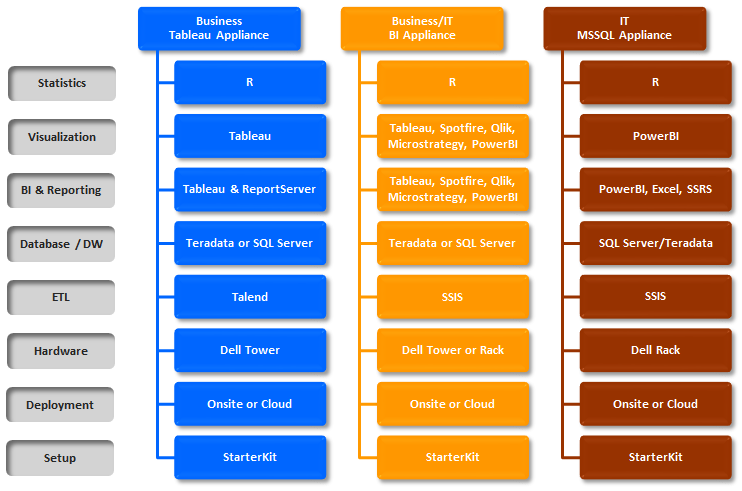 However, the appliance also runs well when SQL Server is used as the database engine. Extremely heavy workloads may push the performance limits of SQL Server and require the use of the Teradata database. Spotlight recognizes that the choice of BI products can be complex and often involves technologies from different vendors. Spotlight's pre-packaged BI appliance offers a choice of products at each level of the architectural 'stack'. The BI appliance provides business and IT users with all the components needed to implement a dedicated decision-support server.